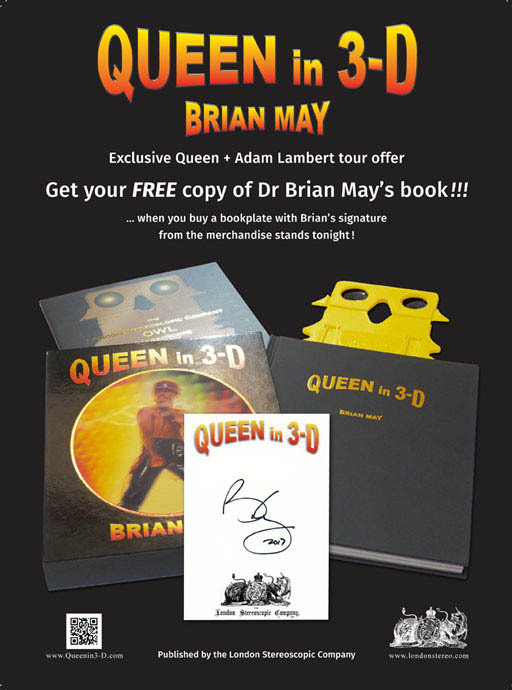 Brian May’s fabulous “Queen in 3-D” book is available for sale on the merchandise stand(s) at the Queen + Adam Lambert Las Vegas residency concerts at the Park Hotel, with a bookplate, signed by Brian – see tour offer below:. Get your FREE copy of Dr Brian May’s book !!! from the merchandise stands tonight!